She’ll no doubt take a strong stand against raising taxes. What’s her stand on sexual equality? What’s his stand on health care reform? Protesters staged an anti-war demonstration in front of the US embassy. The protest was a well-planned and carefully staged affair. The two of us feasted on smoked salmon. We feasted on strawberries and cream. We feasted on smoked salmon and champagne. 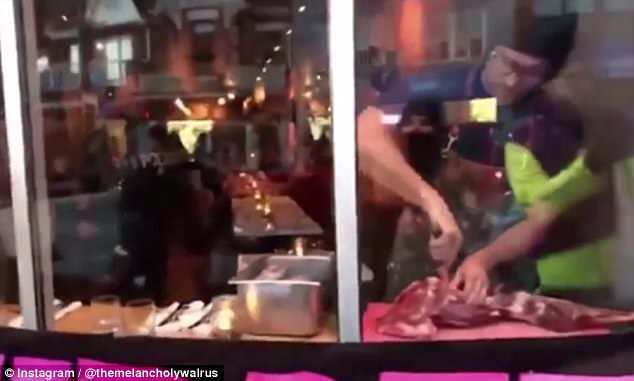 A chef riled a group of vegan protesters by carving a deer leg in the window of his restaurant while they demonstrated outside on Friday night. 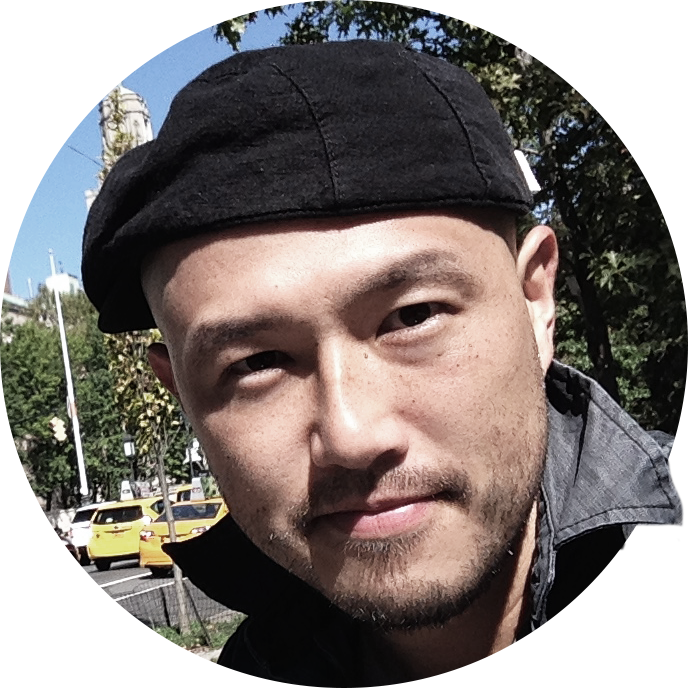 Chef Michael Hunter is the co-owner of Antler in Toronto. The restaurant specializes in locally farmed ingredients and includes wild boar and venison on its menu. 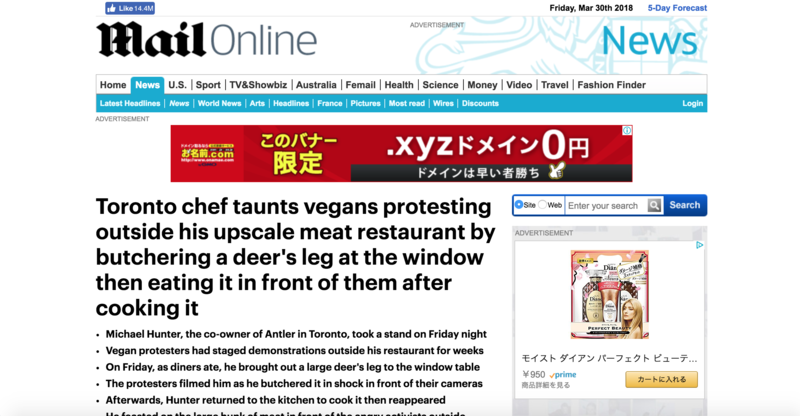 For weeks, vegan protesters have descended on the restaurant with signs accusing it of murder and animal cruelty. Hunter took a stand by moving out of the kitchen towards a window seat, bringing with him a large leg of deer. Don’t let her rile you. Many farmers have been riled by Department of Agriculture fines. Your loud parties rile up the neighbors. The president’s outspoken remarks have riled conservatives. Would you like me to carve (the chicken)? She’s a lawyer who specializes in accident cases. The list of ingredients included 250 g of almonds. Combine all the ingredients for the stew. Mix all the ingredients together and place them in a shallow dish. The food is home cooked using fresh ingredients. Sorry to descend on you like this, but we didn’t have a phone to call you. They had acted out of compassion. Both women shared a compassion for victims of war. As the protesters complained, he slapped it down in front of them and began cutting it up. 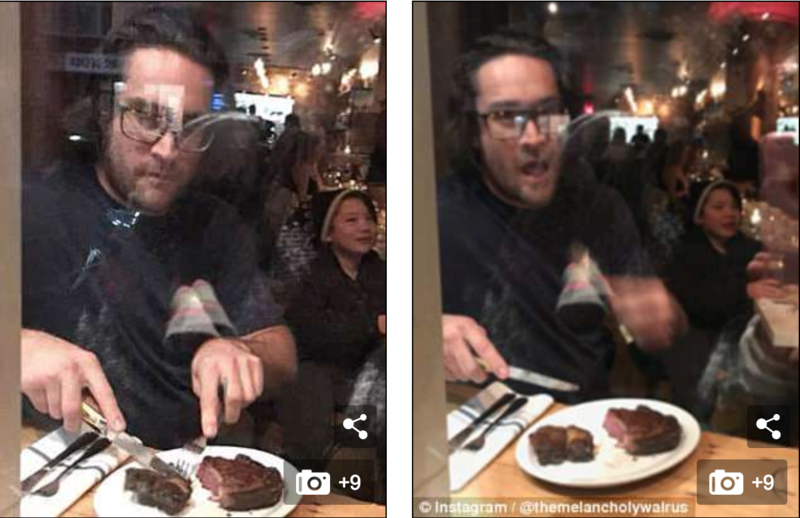 They filmed him as he set to work on the meat and gave an incredulous commentary. ‘The owner has brought the leg of a recently murdered animal to the table. ‘He is going out of his way to show us the leg. What animal would that be guys? 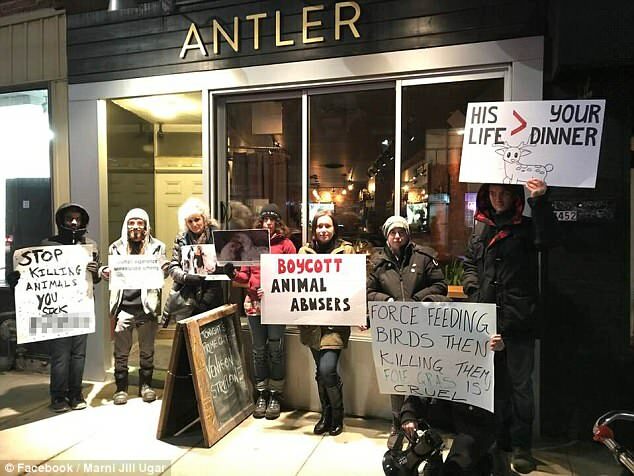 ‘What he’s doing here to mock us, the owner of this restaurant, has gone out of his way to mock this legal peaceful protest at Antler restaurant by bringing the leg of an animal to this table where people are only supposed to be dining,’ said one of the protesters as they filmed Hunter. In the background, other protesters attempted to win sympathy from passersby. ‘No, they’re murdering animals!’ one of the protesters said back. ‘Is this against a health code? Is this legal! ?’ another said. She showed no regrets after being slapped down by a panel of judges. I set to work on the mountain of paperwork on my desk. After lunch, they set to work fixing the roof. He quickly set to work to build a shelter from the rain. We’d better get to work on stacking this wood if we want to finish before it gets dark. “Why am I here?” the witness responded in an incredulous tone. Rachel really went out of her way to make me feel welcome. They really went out of their way to make us feel welcome. She went out of her way to cook a really nice meal. Two police officers then arrived and entered the restaurant to speak to Hunter as the protesters remained outside. They spoke with him for several minutes, leading the protesters to think they would intervene. At the end of their conversation, they and Hunter both smiled and laughed. After cutting up the meat, Hunter retreated to the kitchen to cook it. He then returned to the window seat 30 minutes later and ate it in front of the group. ‘It shocked me. It made me feel really sad. 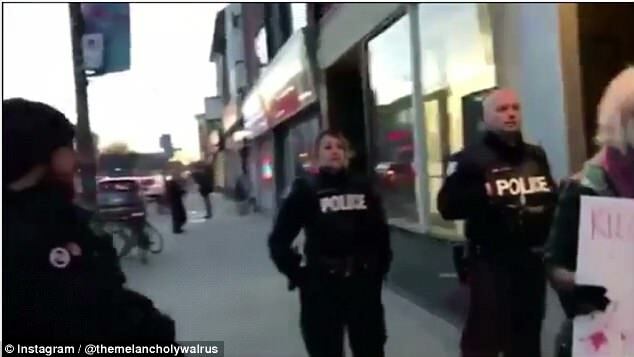 For me it’s just an animal and it’s an animal that didn’t want to die.’ protester Marni Ugar told The National Post. 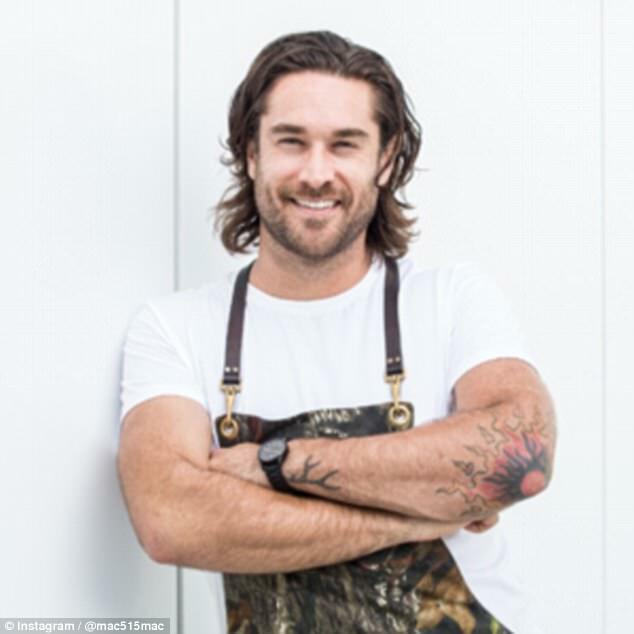 Hunter did not respond to DailyMail.com’s inquiry to the restaurant on Wednesday. On its website, the restaurant describes its commitment to ethically sourcing local produce and meat. There have already been over 300 inquiries from people interested. The government has failed to demonstrate its commitment to the railways. Try the product for two weeks with no commitment to buy. Transplantation of organs from living donors raises ethical issues. This action is ethically questionable. Is it really ethical to keep animals in zoos? 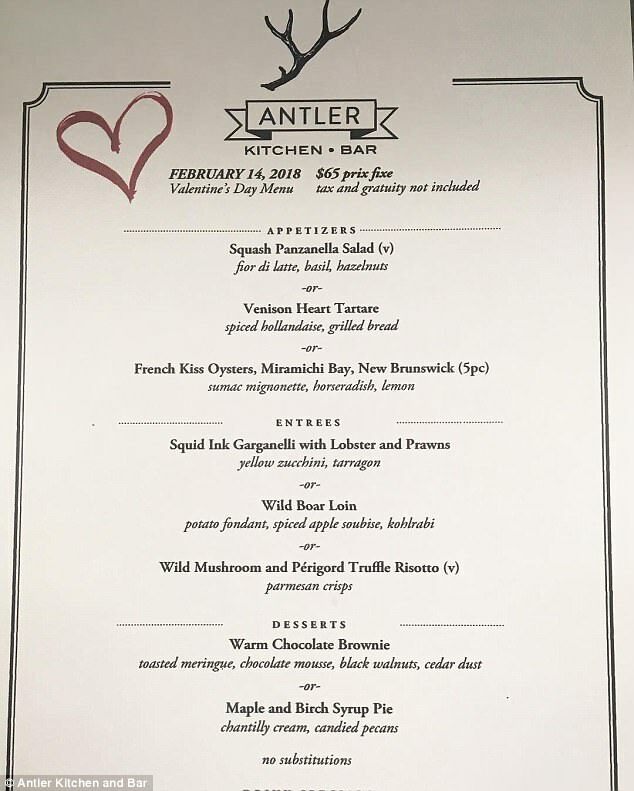 In light of his row with the protesters, he has added vegan dishes to his menu and asked them to go foraging with him. Gordito Ślim tweeted: ‘I understand peaceful protesting but you’re clearly disrupting business making people feel judged unwelcome to eat “right outside” of owners establishment. Another supporter of Antler said: ‘Antler is one of my fave restaurants. Vegans are free to protest peacefully outside. In light of your good record, we’ve decided to overlook this offence. The chef offers special dishes of wild and foraged foods, including wood pigeon and snails. They spend their days foraging for food around the city. The children had been living on the streets, foraging for scraps. Wild dogs roam the streets, foraging for food. In the study families are classified according to their incomes. These cows are now classified as a rare breed. He has the authority to classify information as Top Secret. It is the government’s intention to break up all monopolies. The government is determined to protect its tobacco monopoly.